Market Snapshot for Beach House 8, Condo/Villa/Townhouses, residential community in Miami Beach, Florida. 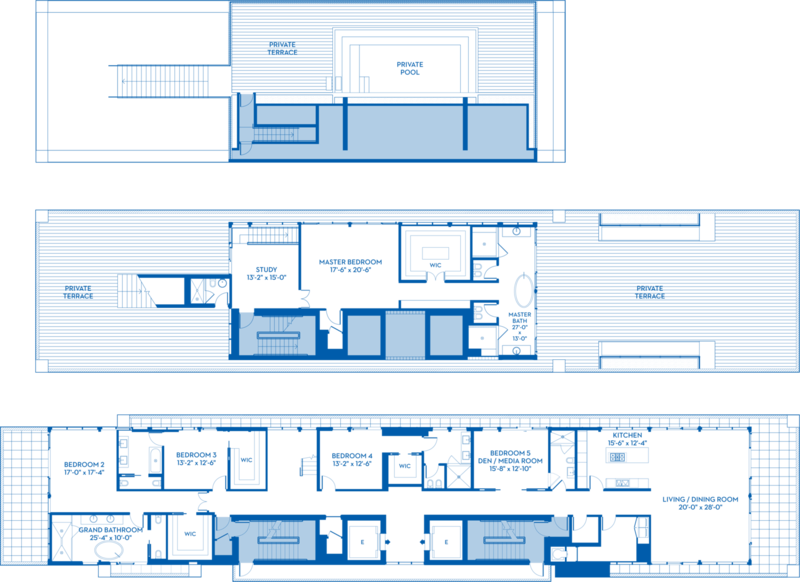 Beach House 8 Condo/Villa/Townhouses is located at 3651 Collins Av, Miami Beach, Florida, 33140. This residential community was built in year (N/A) and currently offering (2) Condo/Villa/Townhouses for sale in Beach House 8, with price ranges from $22,000,000 to $22,000,000. 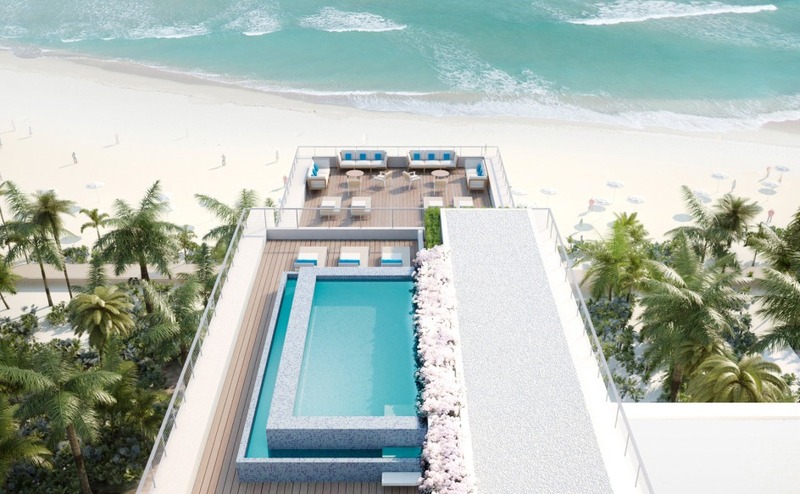 Whether you are looking for most up-to-date Beach House 8, Condo/Villa/Townhouses, residential community or another luxury development in Miami Beach, Florida to Buy or to Sell, our website will provide you with the most up-to-date luxury homes and condos for sale in the city of Miami Beach. Beach House 8: Looking for privacy? 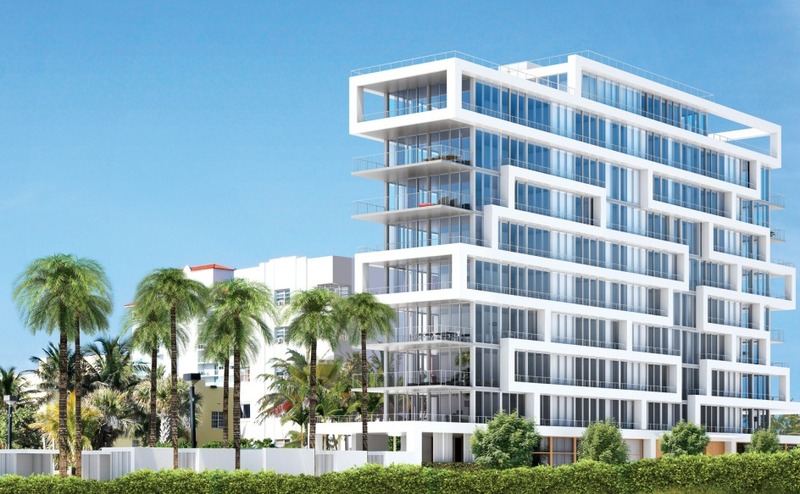 One of the most exclusive buildings in Miami with 7 units only. This is a duplex unit with 7 suites with more than 7,500 square ft in living area. The unit is sold professionally decorated and furnished. The unit came with with 4 car assigned garage and 2 cabanas. Building amenities includes 24 hours concierge, 75' pool w/jacuzzi, lounge & Technogym, yoga terrace & direct access to the beach. Qualified buyers only. For showing, kindly call Cassio Faccin. Beach House 8: Beach House 8, the most elegant building in Miami, exceptionally private, with only eight floor through units. Designed by Arquitectonica and developed by Ugo Colombo, two of the most reputable professionals in the industry. This majestic turnkey duplex features breathtaking 360 panoramas. Over 10,000 sq. ft. of total living space, 5 bedrooms, 6 bathrooms, with a 5,000 sq. ft. of magnificent outdoor terraces wrapping around its 5,000+sq. ft. of interior living space. Floor to ceiling windows unify the boundary between the inside and outside. This Penthouse features a private infinity edge pool on the third level - perfect for both, gracious entertaining and intimately secluded living. Located in Mid Beach, Miami's hottest area, next to Faena House, The Edition and Soho Beach House. 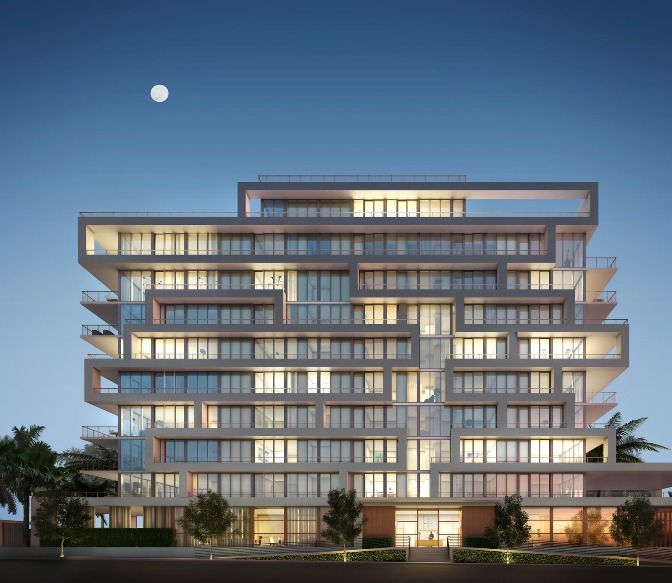 With a distinctive facade, Beach House 8’s bold composition of rectangles creates unique terraces and balconies for each of its eight floor-through residences—expressing a mix of natural beauty and urbane sophistication at the heart of Miami Beach. In shared outdoor and lobby areas, elements from wood-paneled drawing rooms to decking finished in Teak, from natural-fiber banquettes to dark-blue mosaic tiling in the pool, from the garden waterfall to the airy 14-foot ceilings at the entry—combined with a full suite of concierge services appropriate for cosmopolitan living—all create an atmosphere of both understated elegance and contemporary informality. Just right for where the city meets the beach. Beach House 8 features exclusive concierge service providing unparalleled access to a myriad of services, including dining, entertainment, travel, move-in coordination, cultural events, and other unique service requests. The design is a series of individual houses brought together, shifting as if moving from the water to the land, capturing the wind, all the dynamic movement of Miami, all the energy of the ocean waves. The ten blocks of Collins Avenue south of 41st Street are undergoing an amazing transformation. Defined by many as the new South Beach, this oceanfront part of town is seeing a rebirth like only Sobe and Collins Park have experienced in the past. Not only a few some of the most expensive and luxurious buildings are under construction, there is also a new neighborhood coming to life where residents will be able to walk to five star hotels, art centers, shopping and commercial spaces with street cafés, and stores. Among all the new construction one stands above the rest: Beach House 8. With only eight floor-through units, the feel of single family home in a condominium setting is a new, exciting way of beach living. 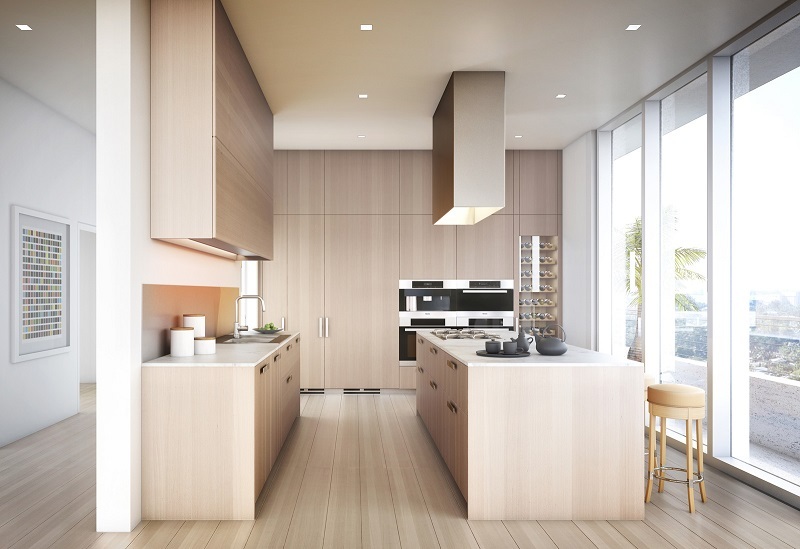 Each kitchen in Beach House 8 combines clean lines with crisp detailing. Informed by European traditions of refined industrial design, they feature professional-grade stainless-steel gas ranges, Boffi cabinetry, and double-ovens by Miele. Countertops and backsplashes in large-scale slabs of Calacatta Gold stone, quarried in Italy, add both durability and character. The result is sophistication with a touch of luxury appropriate for its setting and its open-plan adjacency to living and dining areas. Bathrooms in each residence of Beach House 8 share a generosity of scale and a feeling of relaxation—down to the dual ceiling and wall rain-shower heads in each master bathroom. Substantial slabs of Italian-quarried Travertine, Carrara marble, and other stone surfaces for flooring, walls and countertops—some incised with a delicate light-catching texture that recalls the play of sunshine on water—bring a natural beauty to bathroom interiors that recalls the nearby beauty of sea and sand. Cabinetry and fixtures from Boffi, Duravit, and Dornbracht ensure enduring quality and comfort. While each residence at Beach House 8 has its remarkable qualities, the duplex penthouse is very special indeed. With some 6,000 square feet of outdoor living space over two levels, this unique home includes a master guest suite and a landscaped private plunge pool—perfect for both gracious entertaining and intimately secluded living. The master suite and private terrace at the rooftop level (whose singular bathtub offers ocean views across a sweeping private deck), recalls the commanding proportions of the personal cabins on a yacht’s quarterdeck, with the same adventurous maritime feeling to be found in everything from the crisply-detailed cable-railings to the horizon-deep views of sea and sky.